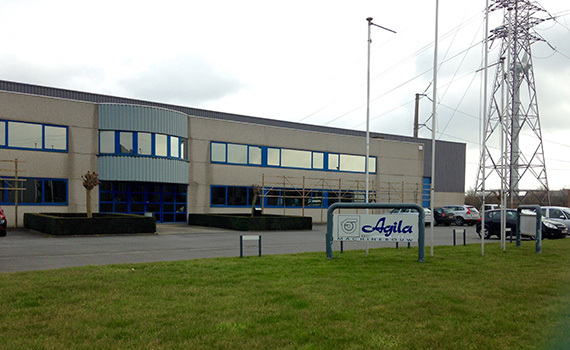 Agila N.V. has been designing machines for the rubber and plastics industry for 50 years. Machines for blending all kinds of rubber mixes. Compression presses, bale cutters and special machines by request. Agila N.V. supplies machines to a worldwide market. 90% of its turnover is derived from exports to European countries such as France, Germany, the UK, Spain and Finland. Agila overhauls machines for the rubber industry. The overhaul and repair work is not limited only to Agila machines. We overhaul and repair all brands of mixing rollers, presses and cutting machines. If you wish, we can completely convert your existing machine to give it a different drive and hydraulic nip adjustment. Repair of reduction gearboxes is another service we can offer. Repairing worn bronze bearings is absolutely no problem for us; the same applies to supplying new lubrication systems for your rolling mill. Rollers for stock blenders and calenders. Agila produces peripheral rollers made of steel. We make rollers to a diameter of 300x700 mm. These rollers are available in various grades of roughness, with or without a hardened chrome coating. Larger rollers up to 750x2500 mm in diameter are available, made of various kinds of cast iron. Agila also sells single emergency stop bars, hydraulic mill drives, variable-speed motors, electrical cabinets (machine controls) etc. If desired, Agila can produce machines to the client's specification. These machines can by utilised for all other industries. Over the years, Agila has built machines, including presses and calenders, for the fuel cell industry, and equipment for membrane technology in collaboration with various universities. Moulds for rubber components and plastic products are also covered by our know-how. You can always turn to Agila if you are looking for a bargain in machinery. Because Agila has a lot of contact with most of the European rubber processing companies, it is well placed to find you a second-hand machine. Agila can fully convert second-hand machines according to your wishes and update them to meet standard EN1417.